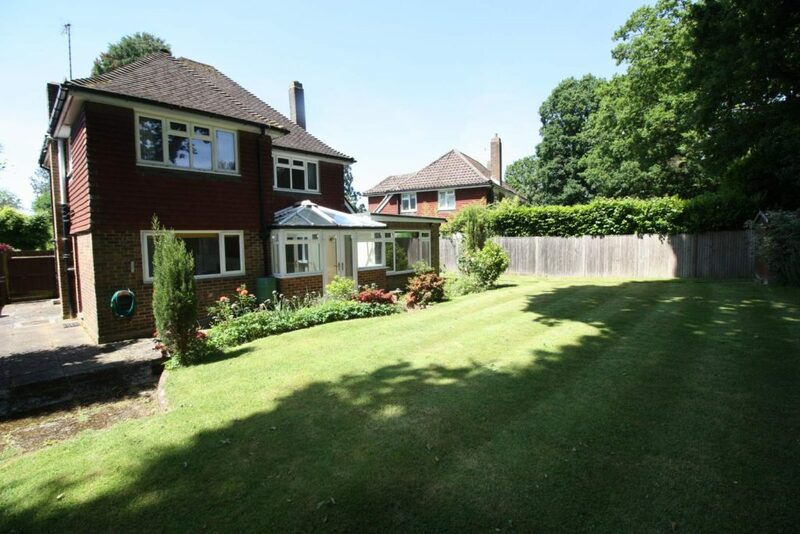 A four bedroom detached house, with two bath/shower rooms, three receptions and a mature and secluded garden. 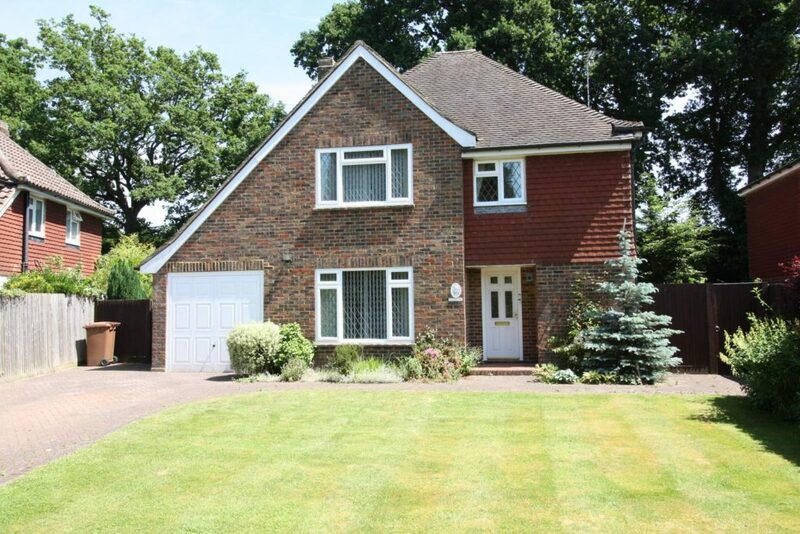 Situated at the top of a quiet cul-de-sac surrounded by similar properties and conveniently located within quarter of a mile of Cranleigh High Street. EPC Band C.
The property is approached by a brick paved driveway with parking for several cars and leading to an integral garage. 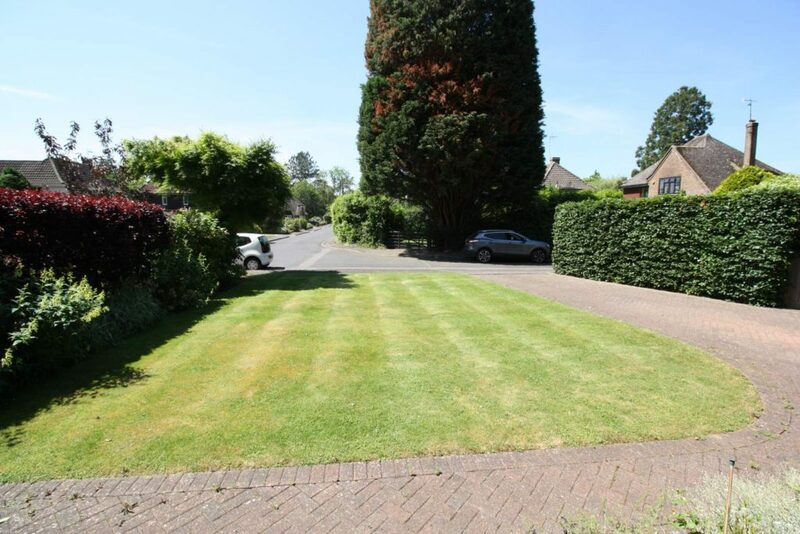 The front garden is mainly lawn, but this is edged by planted borders. A brick paved pathway leads to the front door and there is access to both sides of the property. 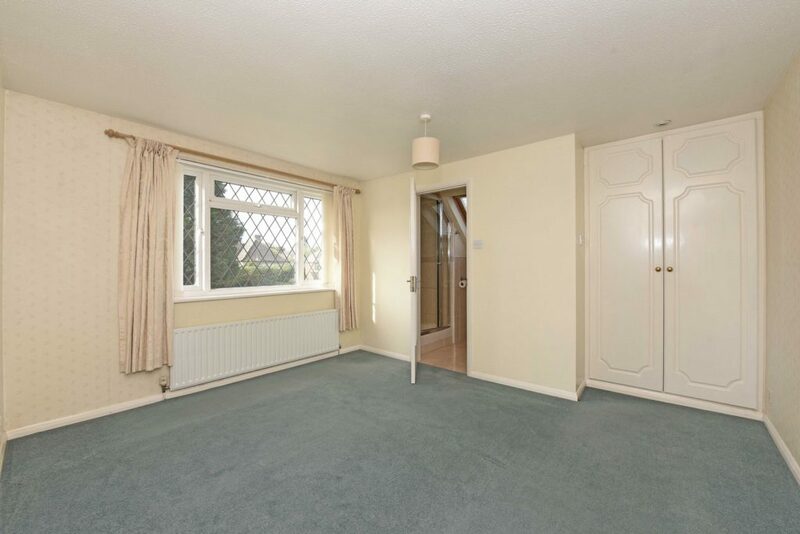 The front door opens in an entrance hall with a large coat cupboard and a cloakroom with basin and wc. 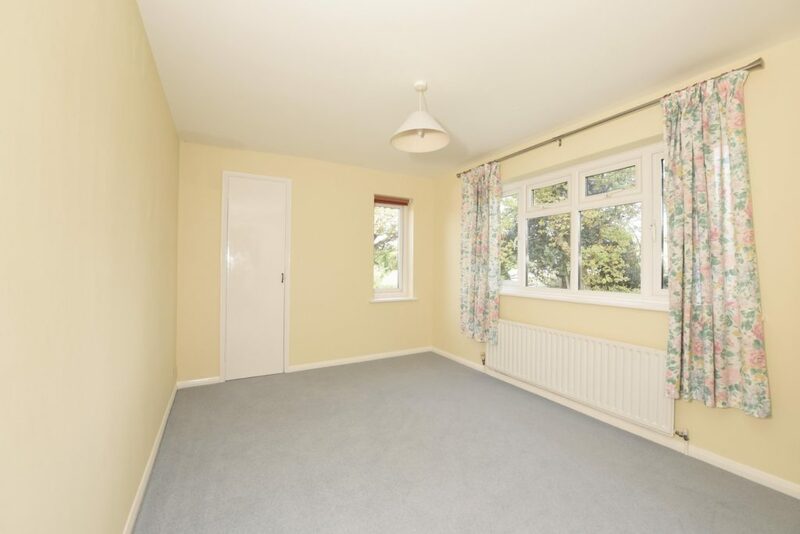 The hallways leads through to the kitchen which overlooks the back garden and side door leading to outside. 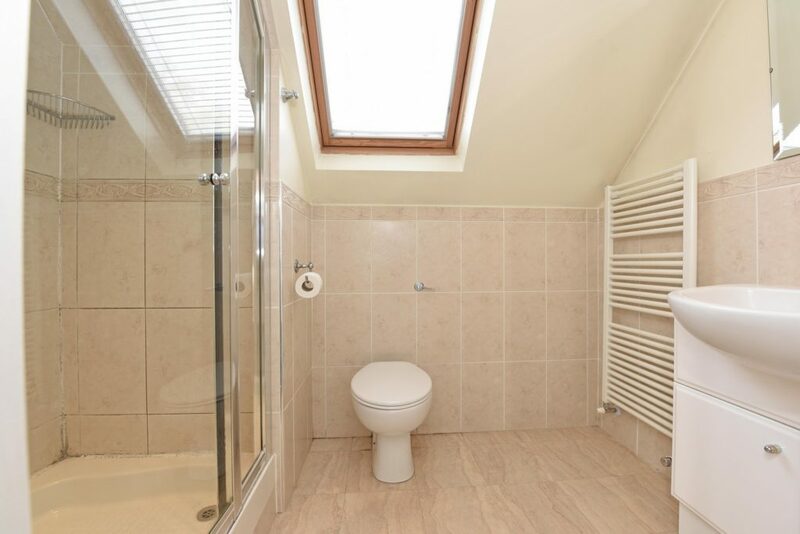 It is fitted with a range of fitted units, worktops and has a pantry under the stairs. 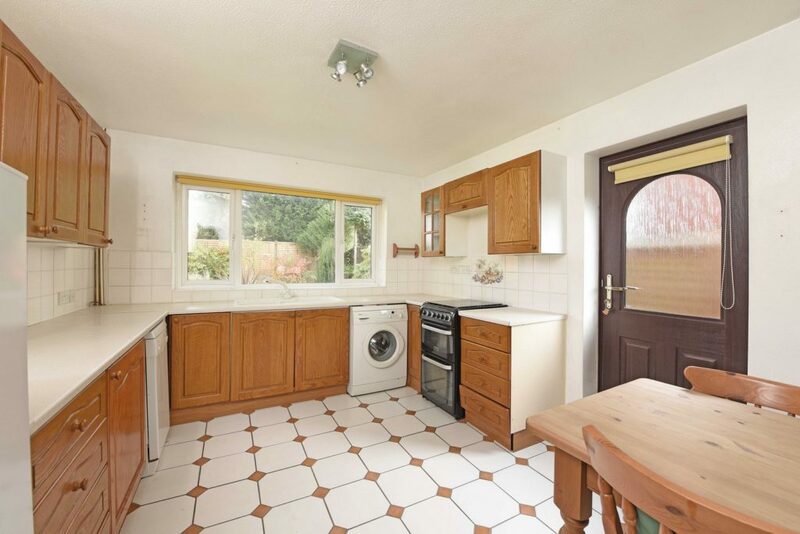 There is space for a freestanding cooker, fridge/freezer and plumbing for dishwasher and washing machine. A Worcester Bosch boiler is mounted on the wall next to the back door. 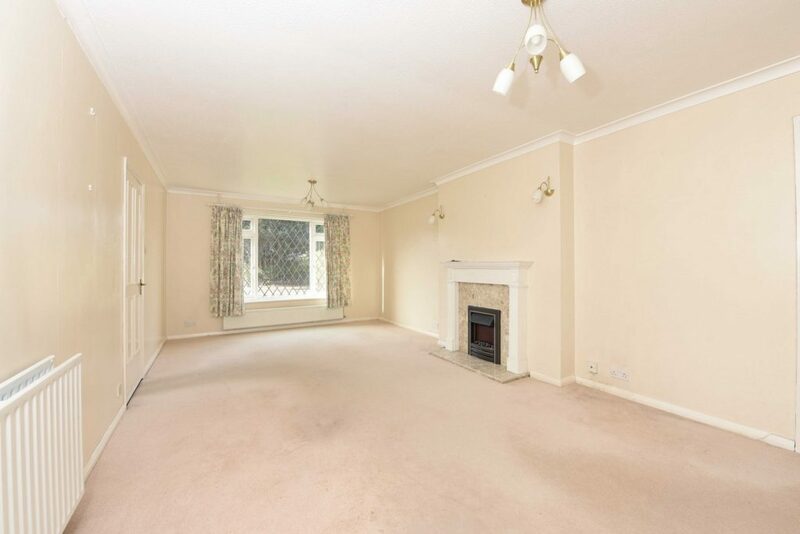 Back to the hallway and into the Sitting room which has a large picture window to the front elevation, a central feature fireplace with electric fire and French doors leading to the conservatory. 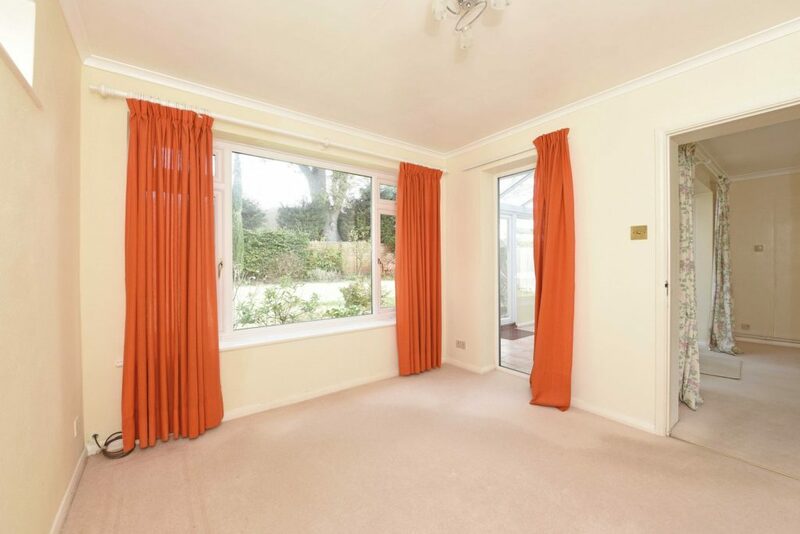 A door leads into the adjoining dining room with a picture window overlooking the rear garden. 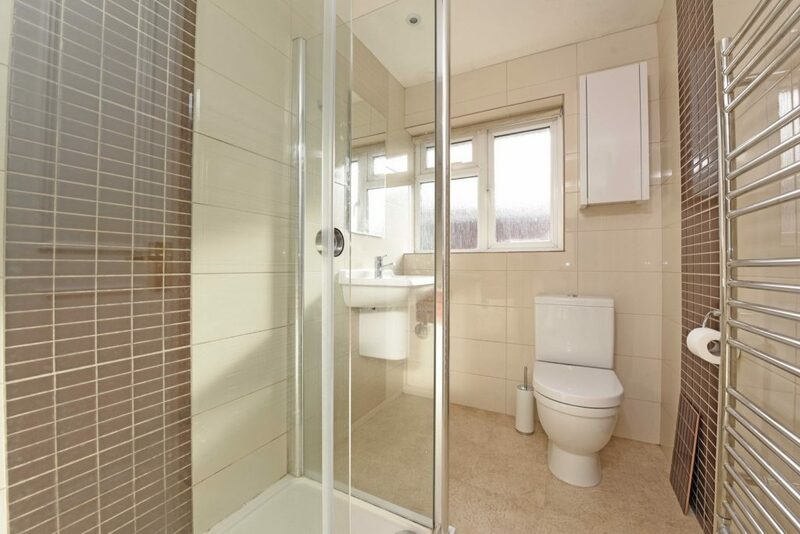 The conservatory has a brick base, tiled floor and UPVC glazing with double doors leading to the garden. The stairs have two windows to the side elevation and leads to a landing with loft access and an airing cupboard with immersion tank. 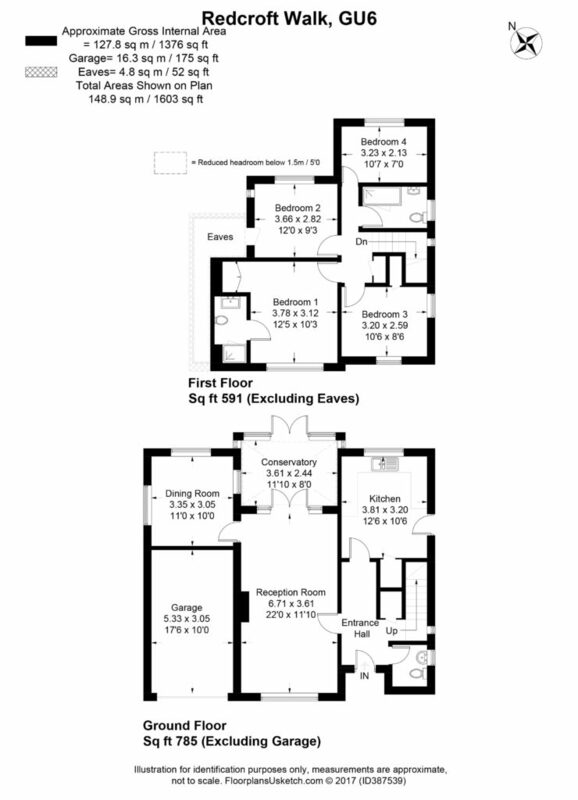 Bedroom one has a built in wardrobe and an ensuite shower room with a glazed shower cubicle, basin & vanity unit, wc and heated towel rail. Bedroom two benefits from a dual aspect to the rear aspect and a door leading to a large eaves storage area. Bedroom three also has a dual aspect and a built in wardrobe. Bedroom four has a phone point and could be used as a study. The garden enjoys both peace and seclusion. There is a large terrace adjoining the rear of the house and there is a large area of lawn, surrounded by several well stocked borders. 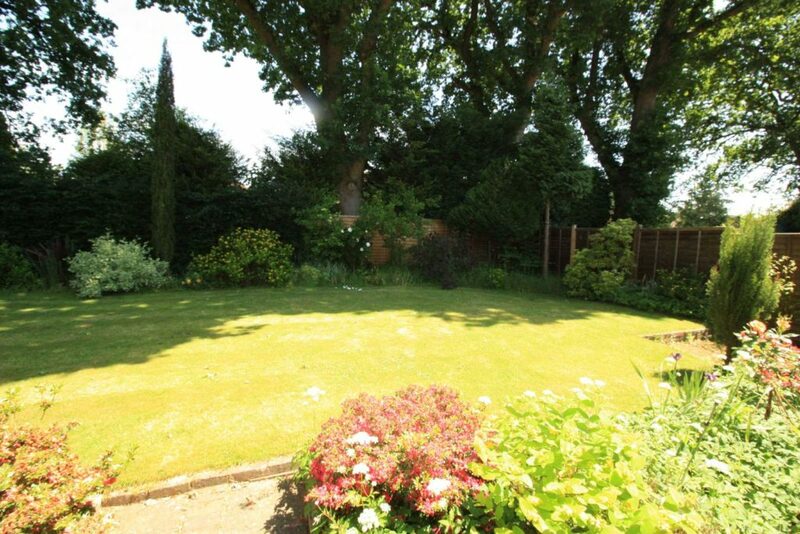 The boundaries are well screened by mature trees and close board fencing and tucked away in the back corner of the garden is a timber garden shed. 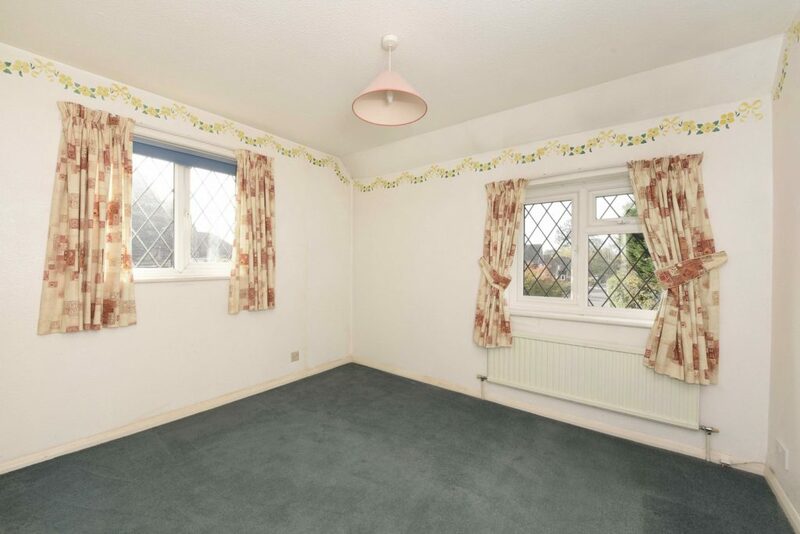 The property is conveniently located in a quiet and well regarded cul-de-sac, situated within a quarter of a mile of the High Street and within a short walk of local schools. The village of Cranleigh lies in the Weald on the main route from Guildford to Horsham. It sits at the foot of the Surrey Hills, which are a haven for walkers, horse riders and cyclists. The High Street boasts an attractive range of shops, and boasts two independent department stores, M&S Food and a selection of restaurants and cafes, many with pavement seating. The modern Health Centre, Leisure Centre and Arts Centre are situated at the southern end of the High Street. There are two supermarkets and a healthy variety of independent shops and established High Street stores.